We spend a lot of time selecting the best mobile computers for use in the Mailroom to track inbound mail and parcels. It is so easy to just assume that any device will do, so lets just get the cheapest. If it really was that simple, we would just say – buy a £50 device from eBay or Amazon and read the barcodes with the inbuilt camera. It would make our solution more appealing as overall it would be cheaper and give our solution a competitive advantage. The point is that when you are doing the same small thing, but hundreds of times a day, just a small average saving equates to a very large amount of time saved over the coarse of a mobile computers lifetime. When you are delivering hundreds of items of mail every day, you don’t want to be held up by things such as barcodes not reading very easily. Drop Test – How often do you put your Smartphone down or pass it to another person in a day? In a Mailroom you are often moving 100 to 200+ items a day, so the mobile computer will get dropped frequently, so you can either go for the “just get another one if it breaks” approach or the “I need a unit that stands up t being dropped” approach. If you drop a non rugged once a month and if it breaks after 4 drops (4 months) that equates to 3 Replacements per Year or 15 Replacements over 5 years! I suggest you put your own figures in and look at what the costs come out as. Rugged units break sometimes, but if we saw a rugged unit break twice over 5 years, we would be surprised. What is the cost in terms of time to buy in the replacement, get IT to set it up, move the software license over? My Smartphone gives me a days work, just about. But I am not scanning barcodes and obtaining signatures all day – in which case I would struggle to get 8 hours out of it. Furthermore the battery is not replaceable. In a Mailroom, things just have to get delivered – so it is not really ideal to use a Smartphone that won’t give you a full shift and won’t allow you to swap to a fully charged battery! The Honeywell CN51 provides a full shift on one charge and allows you to swap batteries on the fly. Some of their cradles provide a spare battery charging area and you can purchase quad bay spare battery chargers. 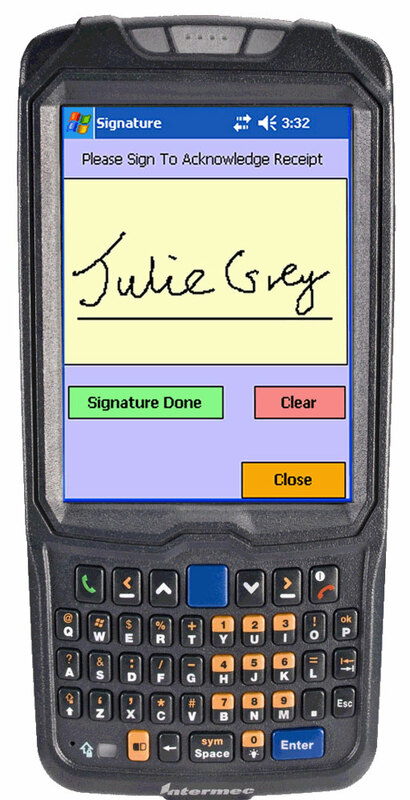 We tend to recommend Industrial Mobile Computers as they are designed for the job.